Nathan Proch was born on August 17, 1962. At age 6, Mattel's Hot Wheels took his world by storm. He graduated from Shenango Jr/Sr High School in the year 1981, and in 1987 earned his Bachelor of Science Degree in Industrial Design from the University of Cincinnati. 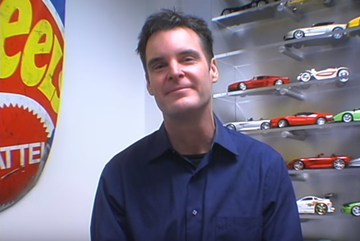 Prior to his work for Hot Wheels, Proch interned at the Chrysler Design Center in Michigan and the Chrysler Advanced Concept Studio in Los Angeles. By the early 2000s, Nathan Proch begun his Hot Wheels career, producing automotive designs that would cross different mediums. Though he left Hot Wheels after being diagnosed with cancer, he is still remembered by the die-cast community for his contributions. Shenango High recognized him as a prolific alumni in 2009, and the Diecast Hall of Fame attempted to induct him into the Diecast Hall of Fame's 2014 category as a Diecast Designer worthy of their distinction.